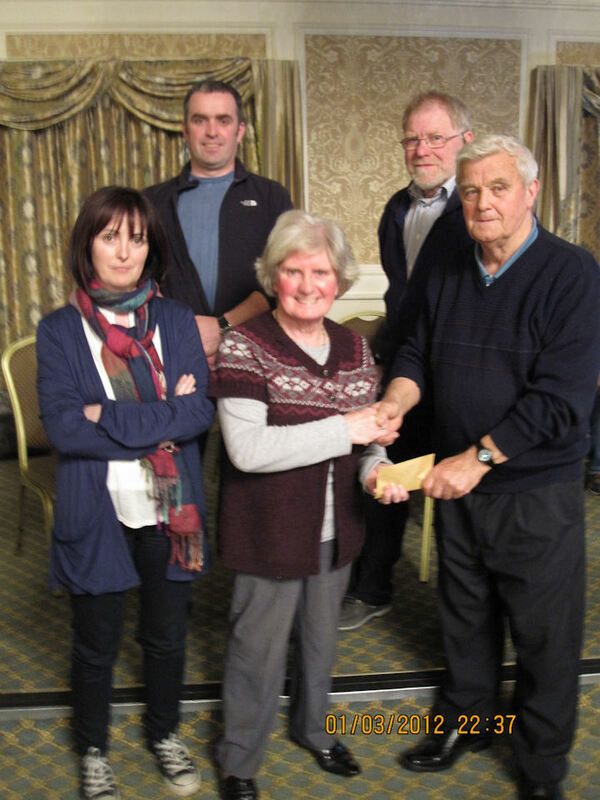 "Team Mine Head" winners of quiz receiving their Prize from Nioclás Ó Griofáin Museum President. On Thursday night March 1 the museum held their first photographic table quiz to raise funds for the museum. The quiz consisted of 150 images of people places and businesses in Dungarvan and local areas over the years. The quiz was well attended and the results were very goods with all teams scoring goods points in each round. Prizes were given for the top three teams with the winners being the Mine Head team which was made up of the McGarry family and friends. Local artist and museum employee Tony Hayes donated one of his painting which was one of the prizes raffled during the interval.